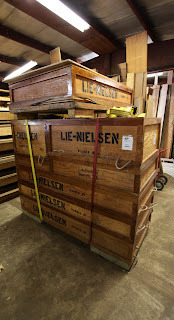 Saturday afternoon I was able to pry myself away for an hour or so to attend a local Lie Nielsen Handtool Event! It was, as they always are, a great time. If you have never been to one, I'd definitely recommend attending one of these events. The staff is always knowledgeable and willing to help. 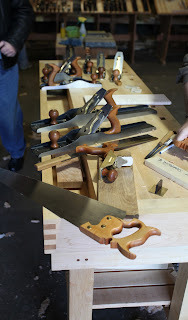 You get to use any of the tools they have set out, and even get some instruction on hand tool use from the folks working the show. There are sharpening demos, tool demos, and usually a guest attendee or two, always worth checking out. 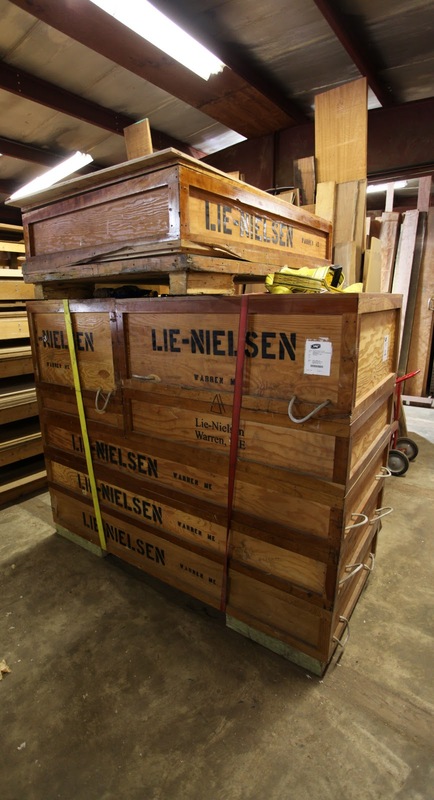 These events are just one of the many reasons why Lie Nielsen is a leader in producing high quality mass produced hand tools. Their tools are, without a doubt, top notch. Additionally, if you want to purchase tools, videos, books or any of the other items they bring along to the show that is definitely an option. If they don't have the tool at the show (or they just sold out), they will ship it to you free of charge! 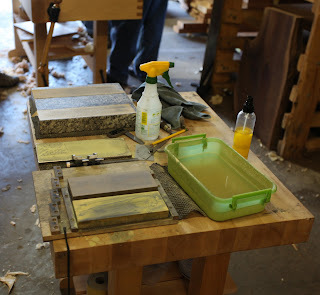 I picked up a couple items that I managed to justify to myself that I couldn't live without, including a copy of Chris Schwarz' book "The Joiner and Cabinet Maker". I'll be reviewing the items as soon as they get here, and the book once I give it a read. I'm a slow reader though, so don't hold your breath. The Maryland event was held at "Exotic Lumber Inc." in Annapolis, MD. If you live in the area I highly recommend stopping by this place. It has EVERYTHING. And now for some photos of the show. A Place To Test Tools!